During the last twelve months, whistleblowers have been frequently featured in international media. News agencies have covered a range of stories on exposures of wrongdoings, such as the Panama Papers, MeToo and LuxLeaks. One thing that has been interesting to note is how enthusiastically the general public has endorsed the people who were so courageous to speak up and make headlines. It seems that there is an increasing recognition of the value of whistleblowing as a means of addressing misconduct. A growing number of countries are putting legislation in place aimed at protecting whistleblowers and establishing professional whistleblowing solutions. Likewise, a significant step was taken by the European Commission this year when it proposed a new law to strengthen whistleblower protection across the EU. This growing appeal of whistleblowing is reflected by the findings of the most recent customer study carried out by WhistleB, one of the leading whistleblowing service providers on the market. This article summarises the main findings from the study, providing insights into the latest trends in organisational whistleblowing. The study was conducted worldwide in August 2018 and combines information provided by a wide array of parties who have a whistleblowing channel and/or whistleblower hotline in place, such as commercial companies, authorities and other organisations. The organisations surveyed indicated that they had received a significantly higher number of whistleblowing reports compared to earlier years. On average, organisations received 1 message per 400 employees per year. This development is likely fuelled by the changing attitude towards whistleblowers; people who speak up are increasingly regarded as heroes and protected by the law. This is motivating organisations to implement professional whistleblowing channels that allow for efficient and secure reporting of misconduct. More and more organisations are widening the group of people who are offered access to their whistleblowing channel. The customer study indicates that increasingly suppliers, customers and other parties are invited to report, in addition to the organisation’s employees. Over and above ethical considerations, growing awareness that significant damage may be prevented when a matter can be solved internally before it escalates externally is an important driver to establishing a broadly available whistleblowing solution. Whistleblowing has often been related to matters of fraud, bribery, anti-trust or financial wrongdoings. This type of misconduct remains an important part of incoming whistleblowing reports. The customer study also shows that organisations now receive a growing number of reports concerning workplace-related abuse, such as (sexual) harassment, discrimination and other unethical behaviour. It seems obvious that the social movement supporting whistleblowers to speak up is strengthening the belief that wrongdoing may be based on other motives than pecuniary advantage. Online whistleblowing channels account for 90% of all whistleblowing reports received. With the ever-expanding number of smartphones, tablets and other devices with internet access, whistleblowers clearly favour online reporting to the traditional telephone hotline. Despite evolving telephone reporting technologies such as interactive voice response (IVR), whistleblowers overwhelmingly choose to report online in written form. Ever stricter legal frameworks, such as the GDPR, are strong incentives for organisations to focus on data protection and security. Due to the expanding array of IT features, online reporting is manifestly the standard for whistleblowing solutions. The customer study points out that no evidence was found to support the concern that offering an accessible whistleblowing channel would lead to receiving a lot of spam, irrelevant messages, reports made in bad faith or other negative reactions from employees. The organisations surveyed indicated that 75% of all whistleblower reports received led to investigations, and some remarked that the information obtained through whistleblowing channels would be very hard, if not impossible, to receive in other ways. 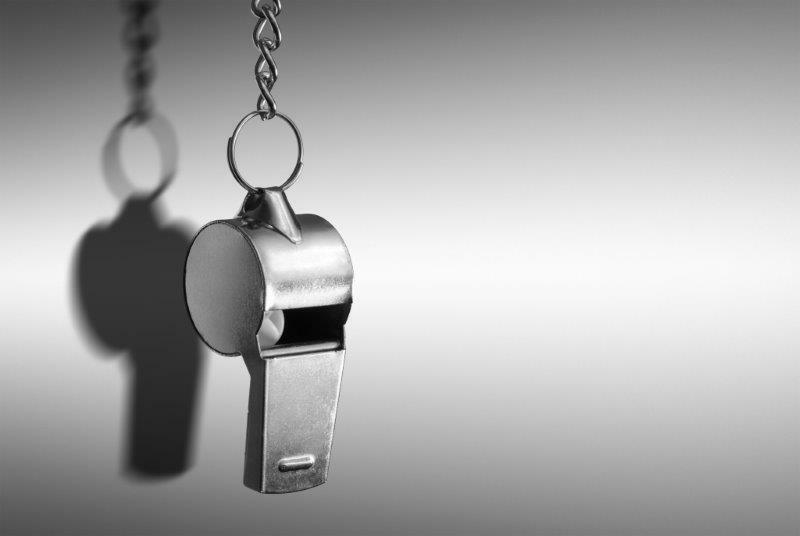 In light of the developments in the field of compliance, both on a legal and ethical level, these findings indicate that organisational whistleblowing is not a trend, but the new standard that is here to stay. For the full customer study, please contact the author: jan.stappers@whistleb.com.